If you're looking for a dish that tastes as good as it looks, you'll love this spinach and feta quiche. This lighter take on the classic dish uses healthy sweet potatoes as a substitute for the traditional buttery crust. 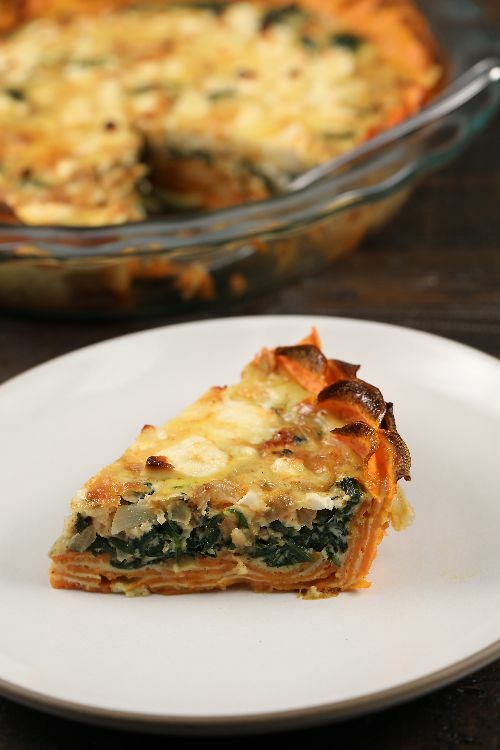 Low-fat milk and fresh spinach give this meal a burst of flavor and nutrients. Check out the simple recipe below, and don't forget to watch the video at the end to see how delicious the crust looks. Lightly coat a baking dish with olive oil. 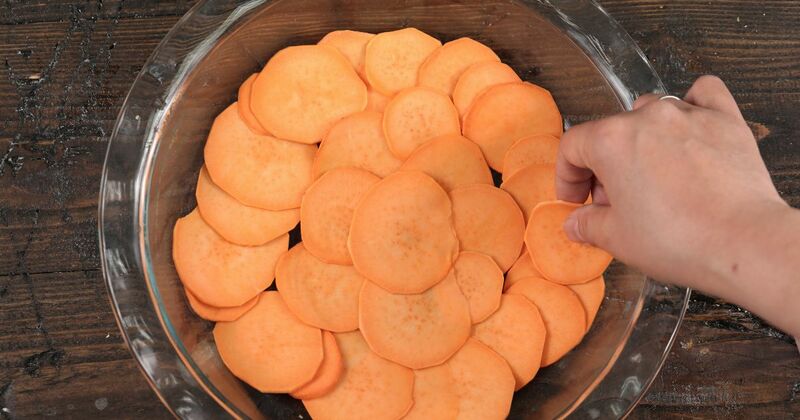 Spread the sweet potato slices in a layer, overlapping each other and building up. Do this to make a 1/2-inch crust. Also layer them up the sides, cutting the slices to fit as necessary. Using a brush, lightly coat the sweet potatoes with olive oil. Bake the sweet potato crust for 10 minutes. Set aside to cool. Put a large saute pan on high heat. Add olive oil. When olive oil is hot, add the onions and garlic, cooking until translucent. Add the spinach and cook just until wilted. Drain any liquid from the spinach mixture. Spread evenly onto sweet potato crust. In a large bowl, beat eggs with milk, and then mix in mozzarella, paprika, salt and pepper. Evenly pour over spinach. Top with feta cheese, and bake for 30 minutes, or until egg is cooked through. I know busy nights. Between after-school activities, building a writing business and juggling personal relationships, I'm exhausted by the time dinner rolls around. Try one of these recipes to spruce up your chicken if you're feeling a little bored with your current meals.